More than 47 million passengers passed through Toronto Pearson International Airport last year and it was the responsibility of the Greater Toronto Airports Authority (GTAA) to ensure they reached their destinations as quickly and safely as possible. Customer satisfaction is a key performance indicator for the airport. But just as important to the GTAA is the satisfaction of the more than three million people who live in the area surrounding Toronto Pearson. The airport strives to mitigate its operational impacts on these residents as it works to meet the needs of a rapidly growing region that depends on it for air connectivity. “The positive impacts that come with being a top-tier airport connecting to the global economy – jobs, investment and growth – can also raise concerns, so we engage with our communities to hear their views and talk about how we can balance priorities to yield the best possible benefits for everyone,” says Hillary Marshall, vice president, Stakeholder Relations and Communications, GTAA. For example, Toronto Pearson has a comprehensive noise management program to help offset and reduce the impacts from routine operations. The program is formally reviewed every five years to produce a new action plan mapping out how noise management activities will continue to evolve. 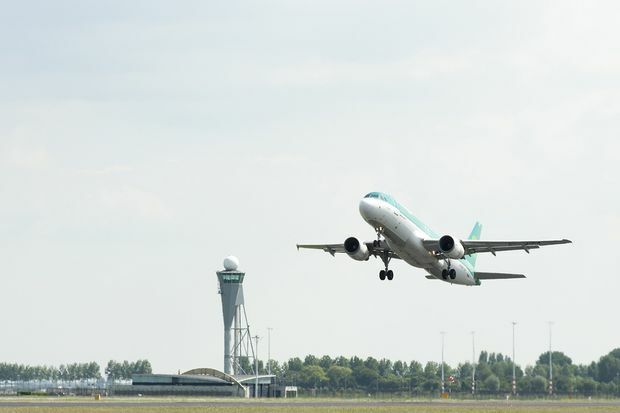 In December 2017, following two years of consultations with aviation experts and extensive engagement with the airport’s neighbouring communities, the plan for the five years up to 2022 was released. The GTAA is also committed to investing one per cent of annual net revenue in support of community organizations across the region. These investments focus on employment support in neighbourhoods around the airport. She adds that the GTAA believes that being a good neighbour means more than just operating in a sustainable and transparent way. It also requires a balance between diverse – and sometimes competing – priorities.